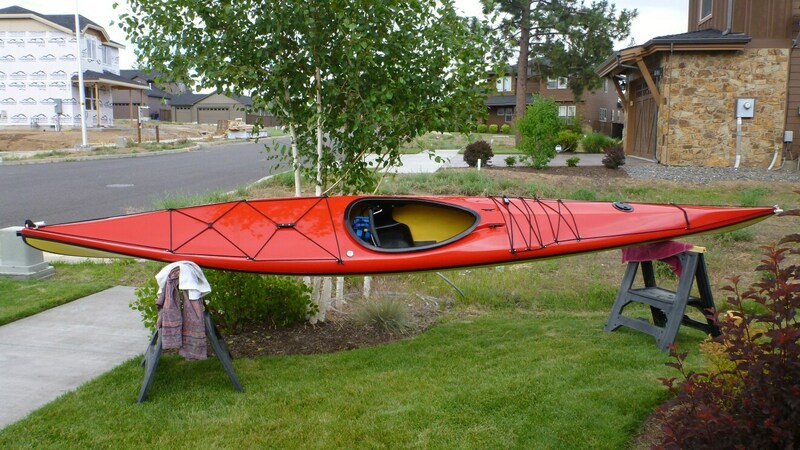 I'm selling my updated, fixed seat, Mariner XL for $1095 to make room for another boat. It's fast and can hold lots of gear with easy loading - no struggling with small dry bags pushed through small hatches. Its original deck rigging was replaced with the more common criss-cross rigging, a keel strip was added, along with an interior shelf, and BlueWater electric pump. The cleat on the back deck was removed and the original peddles were replaced with Yakama. All work professionally done. The original peddles and deck rigging are included along with a SnapDragon spray skirt, two float bags, a Silva LB70 handheld and deck mounted compass (deck mount and Pelican case included) along with some misc gear (duffle and dry bags).